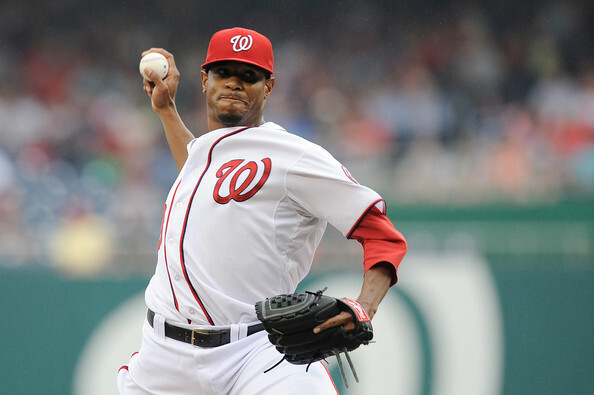 The Cubs made Edwin Jackson their big winter signing, inking the Right – Hander to a 4 YR/52 Million Dollar Contract. He went 10-11 – with a 4.03 ERA last season, and since 2009, has played for the Tigers, Diamondbacks, White Sox, Cardinals and Nationals. Alfonso Soriano OF – $19,000,000 (7th year of 8 YR/136 Million Dollar Contract) – Soriano has two years remaining on the contract that effectively ran GM Jim Hendry out of town. The Left Fielder led the team with 32 HRs and 108 RBI in 2012, and the feeling is he won’t finish out his deal while wearing a Cubs uniform. Starlin Castro SS – $5,857,142 (1st year of 7 YR/60 Million Dollar Contract) Club Option for 2020 (16 Million) – The Cubs signed Castro to a seven-year contract extension last August, and the deal has the potential to buy out four years of their All-Star Shortstop’s Free Agency. Castro is only 22 and he’s already collected 529 hits. He makes $5 MIL in 2014, $6 MIL in 2015, $7 MIL in 2016, $9 MIL in 2017, $10 MIL in 2018 and $11 MIL in 2019. His contract calls for a $1 MIL Buyout if the team declines his 2020 Team Option. The Cubs signed Starlin Castro to a team-friendly seven-year extension that could keep the Short Stop on the North Side through 2020. Edwin Jackson SP – $13,000,000 (1st year of 4 YR /52 Million Dollar Contract) – After being outbid by the Tigers for Anibal Sanchez, the team turned to Jackson and gave the Right-Hander exactly what he was looking for – a Multi-Year contract. He’s averaged 203 Innings per season over the last four years – while pitching for five different teams. The traveling hurler will make $13 MIL for every year between 2013 – 2016. 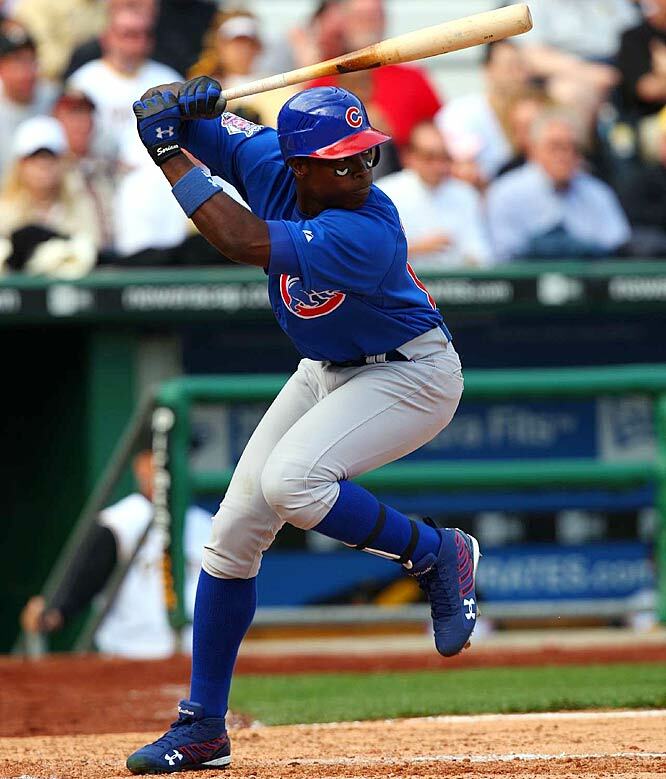 Jorge Soler OF – $1,666,667 (2nd year of 9 YR/30 Million Dollar Contract) – The Cubs won the bidding for the Cuban Outfielder – and turned heads when they committed nine years to a somewhat unknown 20-year old. Now 21, the 6-foot-3, 225-pound Soler is the one turning heads in Spring Training. In 2014 and 2015, he will make $2.67 MIL, for 2016 and 2017 he will make $3.67 MIL. From 2018 – 2020, he will make $4.67 MIL. Carlos Marmol RP – $9,800,000 (3rd year of 3 YR/20 Million Dollar Contract) – Marmol, like Soriano, might not survive the season in Chicago. He’s overpaid, he’s a trade candidate, and he’s set to hit Free Agency in 2014. He also has a strong Closer candidate Kyuji Fujikawa) breathing down his neck. Matt Garza SP – $10,250,000 (1 YR) – The Cubs and Garza avoided Arbitration and reached an agreement a one-year deal. He’s already suffered a setback in Spring Training (strained lat) after being shut down in 2012 – with a stress reaction in his right elbow. He’s both an extension candidate and a trade candidate, but he needs to show that he can stay on the field first. Garza will be a Free Agent in 2014. David DeJesus OF – $4,250,000 (2nd year of 2 YR/10 Million Dollar Contract) Club Option for 2014 (6.5 Million) – At best, DeJesus will patrol Center Field at Wrigley Field for one more year before the club lets him walk. In 2012, he hit .263/.350/.403 in a ho-hum year. If the club declines his Team Option next year, it will cost them a Buyout of $1.5 MIL. Carlos Villanueva SP – $5,000,000 (1st year of 2 YR/10 Million Dollar Contract) – Villanueva was one of four Free Agent Starters the club brought in to compete for the Starting Rotation, but he’s likely to start the year in long relief – although a Garza injury could change things. He posted a 4.16 ERA – with 8.76 K/9 and 3.30 BB/9 last season. He will also make $5 MIL in 2014. Kyuji Fujikawa RP – $4,500,000 (1st year of 2 YR/9.5 Million Dollar Contract) Club Option for 2015 (5.5 Million) – The Cubs signed Fujikawa out of Japan’s Nippon Professional Baseball League to be the team’s closer if Marmol falters. He saved 220 games over 12 seasons in Japan, and in his last six, Fujikawa had a 1.36 ERA and 510 Strikeouts in 369.2 Innings. The Japanese hurler will make $5 MIL in 2014. Scott Feldman SP – $6,000,000 (1 YR) – Feldman is already guaranteed a spot in the Cubs rotation. Last season with Texas, the Right Handed Pitcher had a 5.09 ERA – with 6.99 K/9 and 2.33 BB/9 in 123.2 Innings. He’s an unrestricted Free Agent in 2014. Scott Baker SP – $5,500,000 (1 YR) – Baker will be eased into the Cubs rotation after recovering from Tommy John Surgery. In 2011, he had a 3.14 ERA with8.22 K/9 and 2.14 BB/9 in 134.2 Innings. He’s an unrestricted Free Agent in 2014. Scott Hairston OF – $2,500,000 (1st year of 2 YR/5 Million Dollar Contract) – Hairston will be a part of a platoon in Right Field with Schierholtz. Interestingly, his deal is full of incentives based on the number of Plate Appearances reached ($50,000 each for 350 and 375 PA, $75,000 each for 400 and 425 PA, and $125,000 each for 450, 475, 500, 525, 550 and 575 PA). He will make $2.5 MIL again in 2014. 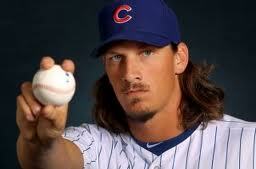 Jeff Samardzija SP – $2,640,000 (1 YR) – The Cubs and Samardzija avoided Arbitration and agreed to a one-year deal. He was the team’s best pitcher in 2012, posting a 3.81 ERA with 9.27 K/9 and 2.89 BB/9 in 174.2 Innings. Samardzija reportedly turned down a five-year extension from the Cubs this winter. Jeff Samardzija could be the next Cub in line for a big pay day. With Garza sidelined, he’s likely to be the Cubs Opening Day Starter. Nate Schierholtz OF – $2,250,000 (1 YR) – Schierholtz, who hit .257/.321/.407 in 269 PAs between the Giants and Phillies last year, will platoon with Hairston in Right Field. The guy is Arbitration Eligible in 2014 and a Free Agent in 2015. Ian Stewart 3B – $2,500,000 (1 YR) – Stewart missed most of last season after undergoing wrist surgery, and he’s already in danger of not making the team after straining his quad in Spring Training. The Cubs reportedly have a $500,000 termination fee included in Stewart’s contract. The guy is Arbitration Eligible in 2014 and a Free Agent in 2015. Dioner Navarro C – $1,750,000 (1 YR) – The idea is to let Wellington Castillo get the majority of playing time behind home plate and for Navarro to play the role of the veteran teacher. In 24 games with the Reds last year, Navarro hit .290/.306/.449. The veteran backstop will be a Free Agent in 2014. Gerardo Concepcion RP – $1,200,000 (2nd year of 5 YR/6 Million Dollar Contract) – The Cubs signed Left Handed Pitcher Concepcion out of the Cuban market, but he struggled mightily last season, posting a 7.39 ERA with 4.82 K/9 and 5.16 BB/9 in Single-A. No service time in the Majors yet. Arbitration and Free Agency clock not started. Luis Valbuena 2B, SS, 3B – $930,000 (1 YR) – Valbuena is already getting extra looks at Third Base in Spring Training now that Stewart is hurt. Last year, he hit .219/.310/.340 in 90 games with the Cubs. The guy is Arbitration Eligible in 2014 and a Free Agent in 2017. The total salary for these 20 players is $100,518,810. The Cubs signed Japanese Reliever Kyuji Fujikawa to a 2 YR/9.5 Million Dollar Contract. He’s pitched in the 2006 and 2009 World Baseball Classic, as well as the 2008 Beijing Olympics. Darwin Barney 2B – $500,000 – Barney batted .254/.299/.354 with 7 HRs and 73 Runs in 2012, but his true value comes from his defense — where he won his first Gold Glove last season. The guy is Arbitration Eligible in 2014 and a Free Agent in 2017. Michael Bowden RP – $484,000 – Bowden came over from the Red Sox and pitched very well for the Cubs, making 32 Appearances out of the bullpen with a 2.95 ERA in 39.2 Innings. The guy is Arbitration Eligible in 2015 and a Free Agent in 2018. Rafael Dolis RP – $480,500 – Dolis struggled after making the jump from Triple-A, posting a 6.39 ERA with 5.45 BB/9 in 38 Innings. The guy is Arbitration Eligible in 2016 and a Free Agent in 2019. Welington Castillo C – $480,000 – Castillo will be asked to be the Cubs primary Catcher in 2013. He hit .265/.337/.418 with 5 HRs in 190 PAs last season. The guy is Arbitration Eligible in 2015 and a Free Agent in 2018. Alberto Cabrera RP – $480,000 – Cabrera made 25 Appearances out of the bullpen in 2012, striking out an impressive 11.22 Batters Per 9, but he also walked 7.48 Per 9. The guy is Arbitration Eligible in 2016 and a Free Agent in 2019. Brett Jackson OF – $480,000 – Jackson is a long shot to make the team out of Spring Training, but so far, he’s looked good in limited action. The guy is Arbitration Eligible in 2016 and a Free Agent in 2019. Junior Lake SS – $480,000 – Lake has a very small chance to make the team out of Spring Training as a Third Baseman after the injury to Stewart. No service time in the Majors yet. Arbitration and Free Agency clock not started. Brooks Raley RP – $480,000 – Raley, a Left-Handed Relief Pitcher, made five appearances for the Cubs last season but struggled in his big-league debut with a 8.14 ERA. No service time in the Majors yet. Arbitration and Free Agency clock not started. Anthony Rizzo 1B – $480,000 – Rizzo is the Cubs future at First Base. After dominating at Triple-A, Rizzo came up a hit .285/.342/.463 with 15 HRs and 48 RBI in 87 Games. The guy is Arbitration Eligible in 2015 and a Free Agent in 2019. Chris Rusin RP – $480,000 – Rusin is another Left Handed Relief Pitcher who struggled in his big league debut, posting a 6.37 ERA in limited work. The guy is Arbitration Eligible in 2016 and a Free Agent in 2019. Dave Sappelt OF – $480,000 – Sappelt has a good chance at making the team out of Spring Training as an extra Outfielder. He hit .275/.351/.449 in a brief stint with the Cubs last year. The guy is Arbitration Eligible in 2016 and a Free Agent in 2019. 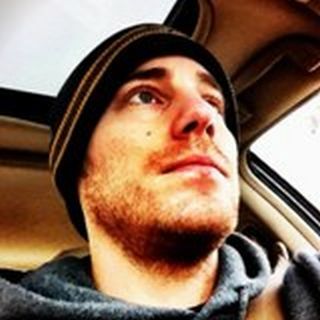 Matt Szczur RP – $480,000 – Szczur is a good two years away. He hit just .210/.285/.357 after making the jump to Double-A in 2012. Josh Vitters 3B – $480,000 – Vitters hit .121/.193/.202 in 109 PAs for the Cubs last year, and this former hyped prospect’s time in Chicago is just about up. The guy is Arbitration Eligible in 2016 and a Free Agent in 2019. Arodys Vizcaino RP – $480,000 – Vizcaino came over from Atlanta in the deal that sent Paul Maholm to the Braves. He’s coming off Tommy John surgery and is considered one of the Cubs top prospects. The guy is Arbitration Eligible in 2015 and a Free Agent in 2018. Travis Wood SP – $480,000 – Wood made 26 starts for the Cubs in 2012, going 6-13 with a 4.27 ERA. He’ll likely be the No. 5 Starter to open the season. The guy is Arbitration Eligible in 2014 and a Free Agent in 2017. The total salary for these 15 players is $7,224,500. Rizzo had a decent rookie campaign – with a 3 Slash Line of .285/.342/.805 with 15 HRs and 48 RBI in just 337 AB during the 2012 season. While the Cubs would have liked to come under their $107,708,021 from 2012 (final payroll number from CBS Sports here), it looks like the team will be right around that number again in 2013. The Cubs have quite a few extension candidates, including Garza and Samardzija, but Garza’s injury will likely prevent it from happening any time soon, and Samardzija has already opposed an extension offer (link here). So the payroll might flux between $100 – $110 MIL. If Soriano is dealt it will be closer to the lower end. The Cubs could look to lock up young talent like Rizzo in the next year or two, and Barney’s stellar play at Second Base has certainly drummed up more interest his way from inside the organization. It’s no secret that the Cubs would like to shed some of Soriano’s salary, but they may be forced to pay the majority of it to facilitate a trade. Marmol comes off the books next year, so that’s an additional 9.8 Million that the team will be free of. The only other Multi-Year deal coming off the books in 2012 is DeJesus, who makes $4.25 Million this year. Soriano has two years remaining on the 8 YR/136 MIllion Dollar Contract he signed in 2007. The Cubs could look to trade their Left Fielder sometime in 2013, perhaps soon. Cubs, Bears, hold the ketchup. Posted on March 2, 2013, in MLB Payroll and Contracts, The Rest: Everything Baseball and tagged 2013 chicago cubs, 25 man roster chicago cubs, @akantecki on twitter, albert almora, alex kantecki, alfonso soriano, anthony rizzo, arodys vizcaino, Brett Jackson, brooks raley, Carlos Marmol, carlos villanueva, chicago, chicago cubs, Chicago cubs payroll, chris rusin, Darwin Barney, dave sappelt, david Dejesus, dioner navarro, edwin jackson, gerardo concepcion, james russell, Javier Baez, jed hoyer, jeff samardzija, jorge soler, josh vitters, junior lake, kyuji fujikawa, luis valbuena, matt garza, matt szczur, michael bowden, nate schierholtz, rafael dolis, scott baker, scott feldman, scott hairston, shawn camp, starlin castro, theo epstein, travis wood, welington castillo. Bookmark the permalink. Leave a comment.